The weekend of February 2nd-4th, the Spanish Federation of Taekwon-Do ITF leaded by Sabum Paco Ferrando and the local club leaded by Sabum Maximilano Montiel hosted the 6th Harmony Course and a special event: the GrandMasters Class conducted by GM Pablo Trajtenberg and GM Wim Bos, resp. President and Director of ITF. Sabum Gaston Casero from Argentina was in charge of the Harmony course. Friday 2nd in the afternoon, the participants from different regions of Spain, some other European countries and two representatives from New Zealand met at the gym of the local high school to attend the GrandMaster’s Class. The classes started by conditioning, mobility and stretching exercises by GM Bos. In the second part, GM Trajtenberg talked to us about he conceives to be a black belt, starting from the question: can he or she defend him or herself? 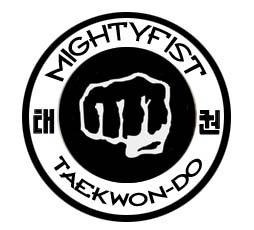 Making the difference between sport competition and the use of Taekwon-do as a self-defense system. In that sense his main recommendation was to be open-minded and creative in the use of Taekwon-Do techniques. In practice he asked the participants to practice one step sparring being more and more creative and using different possibilities, angles, attacking tools. The session ended by more exercises leaded by GM Bos and questions of participants. The second day, Saturday 3rd was the longest day. In the morning Sabum Gaston Casero gave a theoretical explanation of the method, which is designated to teach persons who start with Taekwon-Do practice aged +50 year. Given the fact of the longer life of people today and aged people want to have a healthy and active life, Harmony presents itself as a way aged people could have to improve physical and mental health through the practice of Taekwon-Do. An important notion is that we can’t ask anyone what everyone is able to do according to their physical and mental conditions, so the classes and even the gradings must be adapted to it. We started to move as being ourselves students of the course, learning the special movements, the rhythm and adapted games for the conditioning, warming up and even Taekwon-Do movements in a soft ‘Tai-chi kind’ way, in order to progress in an adapted power skill. In the afternoon we had a very nice surprise: a group of elder people from the town came to practice with us as new Taekwon-Do students. It was a very emotive, kind and high human values encounter; we could see tears in some of the participants eyes. We practiced together, basic movements to punches and defense backward and forward in a very funny ambience and the integration of the group was very naturally made. A very special moment was the performance of Dan-gun Tul by Brian Milligan, aged 78 and student at the local dojang. Sunday morning, Sabum Casero explained the issues concerned to the functioning of human body and how is the evolution with age. We had a lot of fun practicing coordination games and exercising. The seminar received the visit of the city mayor and the local television channel. At the very end diplomas were delivered to participants.